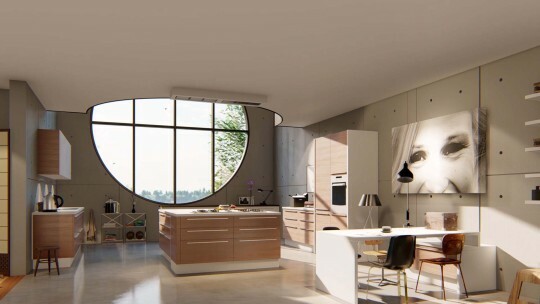 In Lumion 9 Pro, there are 634 new HD objects* available to help you quickly create compelling renders that simulate reality. You can find hundreds of new interior objects as well as nature objects, vehicles and people, among others. Whether designing a building, an interior or a landscape, many architectural projects are intricately connected to their surroundings. Detailed environments and lifelike scenes can help viewers make sense of your design and experience it in a much more personal way. Some renders, for instance, often need to communicate the real-life location where a building is planned to be built, while other renders demonstrate a vision of what a room might feel like for the people who will live there. When creating scenes in Lumion and showing what your project will look like after it’s built, you can save time and energy by using the large content library of beautiful, high-resolution 3D objects available right in Lumion. And the best part is that adding these objects to your scene is virtually instantaneous. Simply search for the object in the content library and place it in your scene. 459 indoor objects ranging from high-quality kitchen appliances to seating, desks, storage items and other home furnishings. 91 new trees, plants and rocks from around the globe, including variations in shape and size. With these new objects, the total amount of objects in the Lumion 9 Pro content library is 5,259. Continue reading below for a detailed overview of some of these objects. With the new LiveSync for Vectorworks plugin, you can immediately create beautiful, impactful experiences from your 3D models. 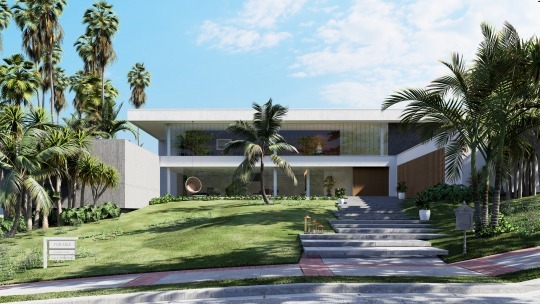 Lumion 9.3 was released last Monday as a free upgrade for Lumion 9 users, and it included a batch of exciting new features to help architects create an impactful, sensorial experience in their 3D designs. Also new in Lumion 9.3 was LiveSync for Vectorworks, a plugin that enables a live, real-time synchronization with Vectorworks 2019 SP3. With only a click, you can synchronize your Vectorworks 3D model with Lumion and begin dressing the model with elegant materials and objects from Lumion’s extensive content library. Instantly, you’ll get a feeling for what your model will look like in its real-life setting, whether that’s in the center of an urban metropolis or a picturesque rural environment. Keep reading below to learn about the Lumion LiveSync for Vectorworks plugin, but if you’re looking for information about Lumion 9.3, check out our article on the Knowledge Base: Lumion 9.3: Everything you need to know. Discover how Lumion can enhance the real-time rendering experience with improvements to LiveSync, now available for Vectorworks 2019 SP3. Grass, pavement and other external materials can equip audiences with familiar features so they can better understand your project. Materials can move your audience from simply looking at your designs to sensing them. The feeling of being at home provides a whole new level of sensorial experience. Your audience will feel the warmth of the wood, they will hear the echo of shoes on tile, and their senses will be able to grasp any of the details of your render.